Consulate General of the Republic of Indonesia in collaboration with Permai BC present: Indonesia Fest 2018. Discover the wonderful Indonesian performing artists from various regions of Indonesia. The performances reflects Indonesia’s richness in diversity of ethnicity and cultures. Enjoy the dynamic rhythm of Piring Dance from the Island of Sumatera to the Balinese Dance of Sekar Jagad that is solemn and graceful. The festival also highlight more performances from North Sumatera and Java, including the performing artists from Municipality of Semarang (Central Java) that would showcase the dances that have rarely been performed in Canada. For the coffee lovers, there will be a cupping and tasting event where you can sample the various rich flavours of Indonesia’s coffee, from the regions of Aceh Gayo, Flores and Toraja. 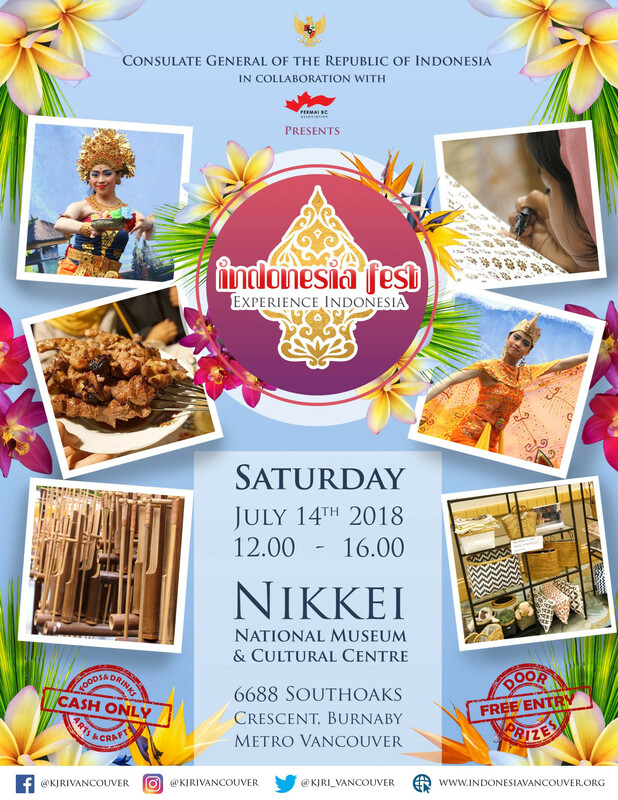 Indonesia’s famous food and beverages will also be at the event, from rendang, nasi goreng, mie goreng, instant noodles, to kolang kaling dessert (sugar palm fruit). 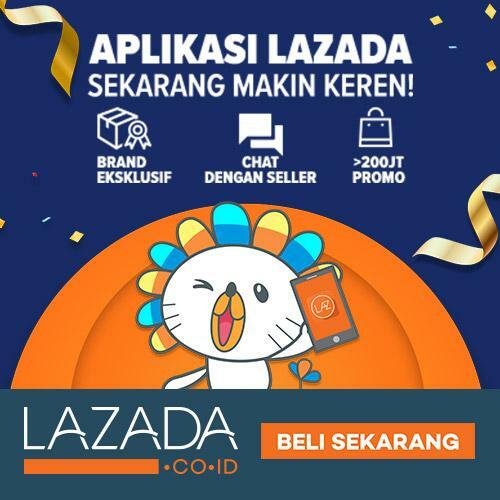 Indonesia’s products such as wood-carved furniture, handicrafts, batik and toys will also be showcased and sold at the event. For those interested in batik, there will be a contemporary batik fashion show and a batik-making workshop, the workshop will be held by a professional instructor who will be guiding you through the steps of membatik (batik-making). Bring home your batik as a piece of Indonesia culture you have experienced. This event is free entry, no admission fee required. We also have many door prizes to win. Come and experience our biggest Indonesia Fest!